THIS PART PULLED FROM WORKING 42" VIZIO PLASMA MODEL # VIZIO VP422HDTV10A,. 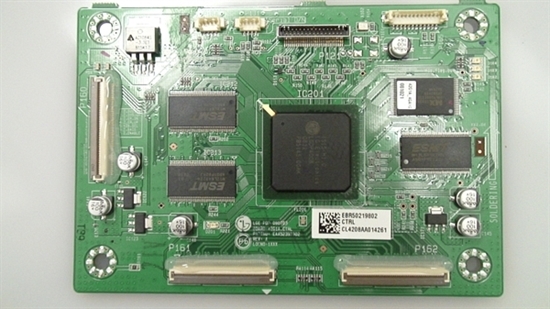 VIZIO 42" PLASMA TV LOGIC BOARD (LGE PDP 080703, BOARD : 42G1A_CTAL, PARTNO : EAX52393302, REV : A, LOCNO : 1XXX) UNIT FULL FUNCTION TESTED & CERTIFIED BY TECHNICIAN (100% WORKING CONDITON). WHAT YOU SEE ON PICTURE THAT IS RIGHT PARTS YOU NEED.